When your luck+team is good, you can win 4v5 - General Discussion - Mobile Legends: Bang Bang - Powered by Discuz! Zilong was afk since ban and pick. He was first and i asked for swap me for harith as i have 80% win rate for like 200 matches. But he did not respond. He was gone afk and picked zilong. I picked 2nd tank because i know i had to protect my adc. Since this game has no invalid mechanism(solo su... i know), so we have to play anyhow. I died a lot because i had to protect clint and cyclops. But it was worth trying. he was afk whole time. Moonton actually should at least ban afk account for 7 days or more. Because they are ruining the game experience. Beacuse luck on our side and our team was good even this was solo, we won at last 4v5 in rank. May be it was good that there was no invalid system? becasue there is 99.99% chance that could have surrender at 3 minutes. So no invalid system helped us to get a star? perhaps? who knows. When they remove invalid, i actually hope they will compensate us with increase amount of star protection point (depend on rank).. like 200 or 300 for legend and up or so.. but it looks like the idea hasnt even occured to them yet.. sigh..
Argus got gold. Moscov was worse than him. At least you were able to know he AFKed from the start and was able to adjust to a 2nd tank. At least your team made the right call to end it early and not drag it out. Hope they return invalid soon though, it was a really nice feature that can save us the trouble of being with an AFKer. Its not just a luck. When playing each player skill, number of player do count, but 1 thing that sometimes we didnt realize... Its teamwork. Most of the time when someone AFK, we would start toxic chat, following the afk & leave the game, or getting bad mood & perform poorly. I also experience that to. Having 1 man AFK. We fail to invalidate. We didnt do toxic chat & work as a team of 4. Do our best, didnt accusing other or yelling stupid thing on chat. We give everything & we won. So whatever the situation, never do toxic & give our best. I don't agree about 7 days ban punishment for afk player. There are many reasons why people afk, such as technical problem. I got this couple days ago, when I stuck at loading screen. I had no choice to restart my app. I reconnected to the game, and the system detected me afk. Yeah I felt guilty because I was afk, and my teammates mad at me. But I also mad at them. How can't they hold and survive in early game?! I only afk for 3-5 mins. Well, we ended up lose. I only died once but I also got many kills. At least, I still tried to pay my mistake in early game and I also got gold medal. I was not afk on purpose, I did that because I got technical problem. I still got minus credit score, and I don't mind that. 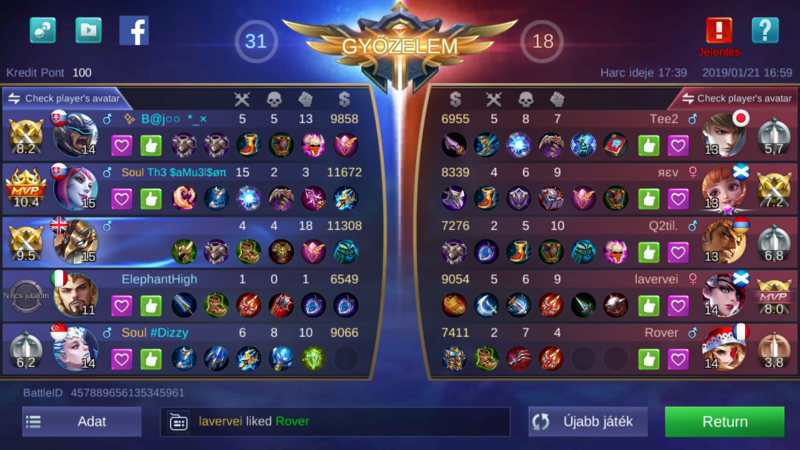 The game flow messed up while I was afk, actually we still had a chance to win, but my team became toxic all the time, and it ruined everything. So that's why. I would bet this is not only happened to me, maybe some of you ever had the same thing. I don't tolerate afk behavior especially if they went afk on purpose and in the entire game, but if it's for some reason like technical issue, I think 7 days ban it's not fair. I know but he never return to the game. At least other players try to return the game even if its late. But he never came to the game.